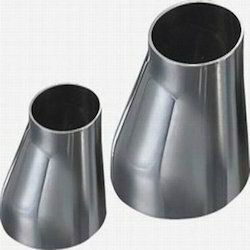 With an objective to fulfill the ever-evolving demands of our clients, we are engaged in offering a wide assortment of Stainless Steel Eccentric Reducer. Applications of Buttweld FittingsA piping system using buttweld fittings has many inherent advantages over other forms. We are offering our clients with Concentric And Eccentric Reducer that are used in petrochemical, power, nuclear and electronic industries. Known for their close tolerances, these stainless steel concentric and eccentric reducers are designed with precise configurations. These reducers are ideal for critical applications that involve high pressure, impulse, vibration and temperature. Used to connect two pipes of different dimensions. 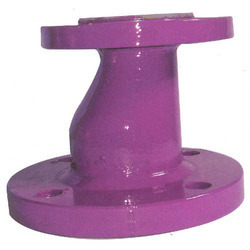 Designed to have good flow characteristics thus reducing erosion and corrosion.